Shauna Lynn Simon is fiercely committed to creating beautiful homes, and providing the highest level of service with every project. 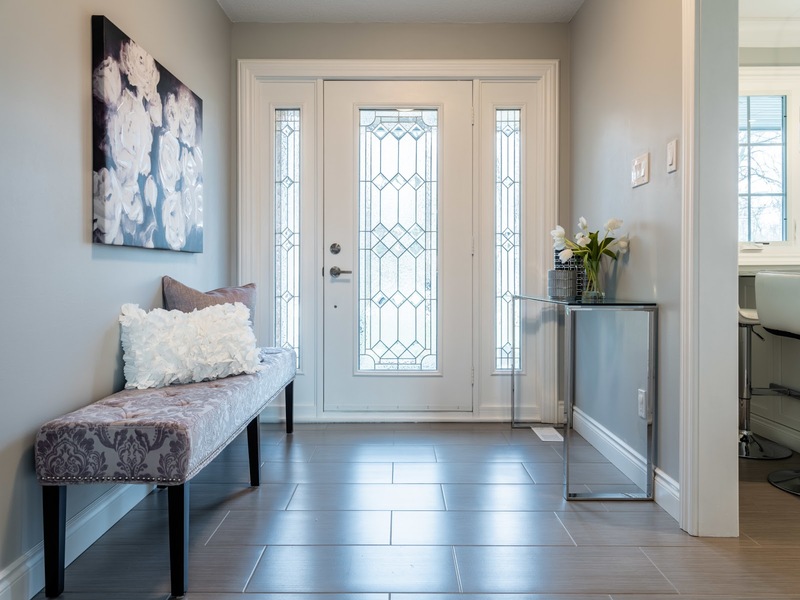 She believes in being a part of the complete process, whether you’re preparing your home for sale, or creating the home of your dreams, Shauna Lynn provides fresh ideas and designs for your home. The holidays are a very special time of year, and as our team enjoys some much-deserved time with their families, we want to take a moment to reflect on the past 12 months. Now in our 10th year of business, we have much to be thankful for. We appreciate every one of our clients throughout the years that have helped us to get to where we are today. As with every business, we continue to grow and continue to learn new ways to service our clients better, and we look forward to continuing this for years to come. Beyond The Stage Homes was founded by a passion for helping others, combined with a love of home décor and creative solutions, and we continue to let this mission guide us still. So what made 2018 our best year yet? While it’s difficult to pick one moment in time this year, we will share with you the highlights of some of our favourite moments. Perhaps one of the most notable milestones of 2018 was the celebration of our 10 year anniversary. 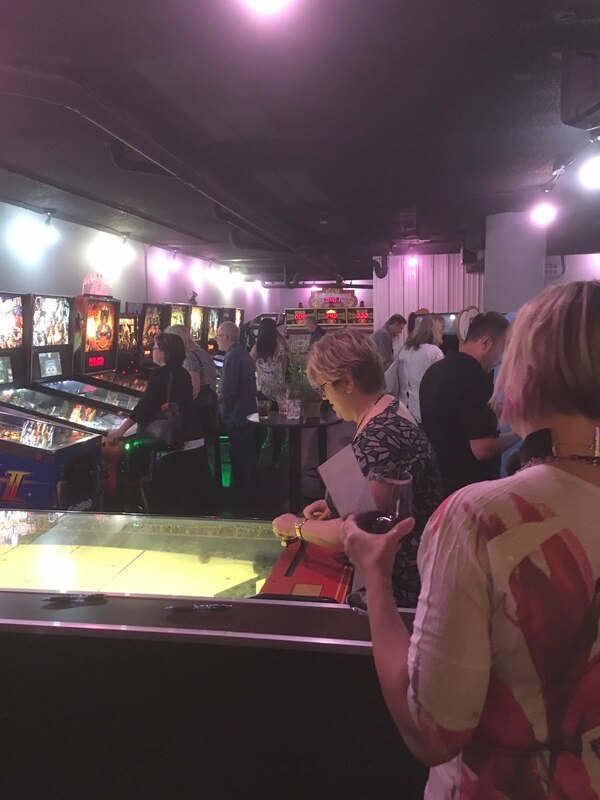 In honour of this momentous occasion, we hosted a Client Appreciation at Pin-up Arcade Bar in Waterloo – our way of saying thanks to everyone that has supported us throughout our years. It was an evening of fun, entertainment, and good cheer, with some of our favourite people. BTSH continues to be a proud sponsor of the KW MS Walkby raising funds at our hosted home sellers workshops, providing TeamMS prizes at the walk, and volunteering our time before, during, and following the event. This event helps to raise much-needed funds for the MS Society’s Grand River chapter. As an animal-loving team, it was only natural that we continued our support for the Kitchener-Waterloo Humane Society, through collected donations throughout the year as well. Cleaning out your closets (likely on the advice of our home staging team)? Donate your unwanted linens to your local humane society – these are put to great use by their furry residents! The BTSH staging team, consisting of Jennifer Roth, Martha Wallace, and BTSH founder Shauna Lynn Simon, attended RESACON Vegas in July. 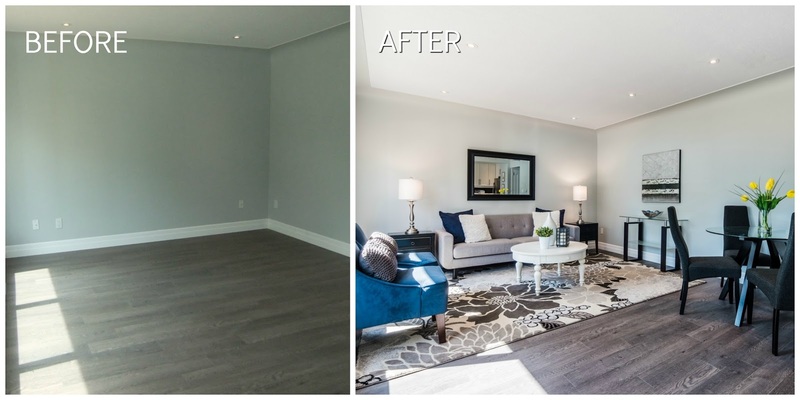 As the biggest home staging industry event in North America they fine-tuned their skills, and built lasting relationships with fellow colleagues, as well as new suppliers. In addition, Beyond The Stage Homes’ sister company, SLS Academy, sponsored the renowned event, bringing certification and continuing education products to the home staging industry. Continuing her efforts to advance the home staging industry in Canada, in terms of strength and stability, as well as awareness, Shauna Lynn completed her 2-year term as the Canadian Representative on the National Board of Directors for the Real Estate Staging Association (RESA), and took up the role as Ontario Provincial President of RESA, where she will serve until the end of 2019. At the RESACON Awards gala on July 27, 2018, Shauna Lynn Simon was awarded the prestigious Kathy Nielsen Spirit Award in recognition of her industry commitment. You can read the full story on our blog here. As well, Shauna Lynn was also honoured with the Top 100 Most Influential People in Real Estate Staging for 2018. As an industry influencer, Shauna Lynn has had the privilege of speaking at numerous live events, podcasts, and television appearances. This year, she represented the National Canadian Tire CANVAS brand on CTV, providing inspiring design trends and backyard party hosting tips, while showcasing these on-trend products. She was also featured on the new Rogers Television show, #trending, featuring local BTSH partners with the show’s fun new host Aleia Ally. 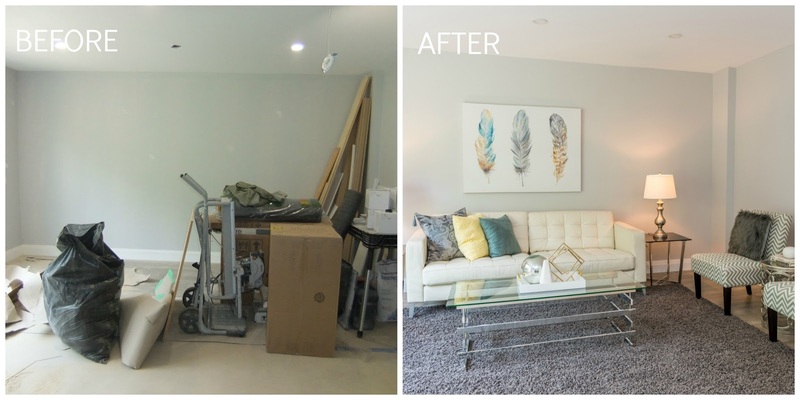 It is also worth mentioning that BTSH’s teamcontinues to grow, and with our increased expansion, we took up residence in a new warehouse, allowing us to streamline the home staging project preparation process to accommodate our increased volume of clients. As well, we have strengthened our team, and will continue to do so throughout 2019 as well. This year, we welcomed Martha Wallace, Professional Home Stager (RESP®), and Frances Hahn, Interior Designer. We are currently in the final selection process of an additional Professional Home Stager, and will begin the orientation for our newest member in the dawn of the New Year. Each home staging professional on the BTSH team is put through an extensive and comprehensive training, including SLS Academy’s RESP® Certification program, as well as our unique job-shadowing program, to ensure consistency of service and knowledge. 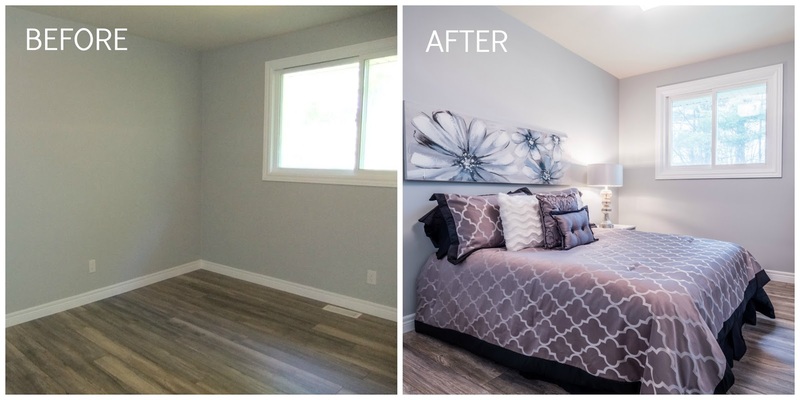 Our 2018 growth also included new staging assistants, and LOTS of fresh and new home staging rental items. 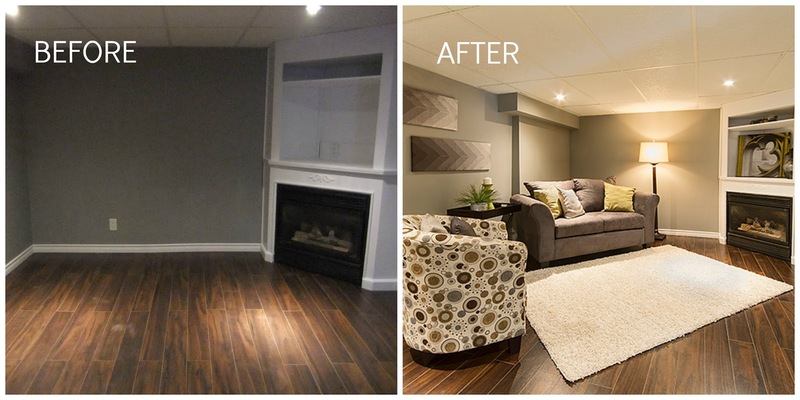 We continue to be Waterloo Region’s #1 choice for vacant home staging, and in 2018 we far-exceeded our own expectations, and worked in some of the region’s most beautiful homes. Our commitment to our community remains unchanged. We are grateful for all that the Waterloo Region Small Business Centre does for local businesses and new entrepreneurs, and Shauna Lynn continues to provide leadership through their mentoring program. We love being a part of a region that continues to support small businesses like ours, and we eagerly look forward to another year full of cheer, beautiful homes, and new and lasting connections. Thank you to all of our clients and partners for making 2018 our best year yet. We hope to continue to exceed your expectations throughout 2019 and beyond! Stay tuned for more exciting news to come, including the launch of co-authored book by Shauna Lynn Simon, new services, and new team members. Wishing you a healthy and prosperous 2019! With Labour Day approaching, so too comes the inevitable end of summer. If you are looking to throw an end of summer party, you’re your backyard is lacking a bit, the Canadian Tire CANVAS collection has you covered with affordable, durable, and inviting pieces. Create a central gathering space for your guests – somewhere that they can eat, drink, and socialize comfortably. The CANVAS Dashley Patio Dining Table, with it’s sophisticated and sturdy pedestal base, makes a bold statement and provides the perfect place to congregate. Be sure to surround the table with chairs that are not only stylish, but inviting as well. 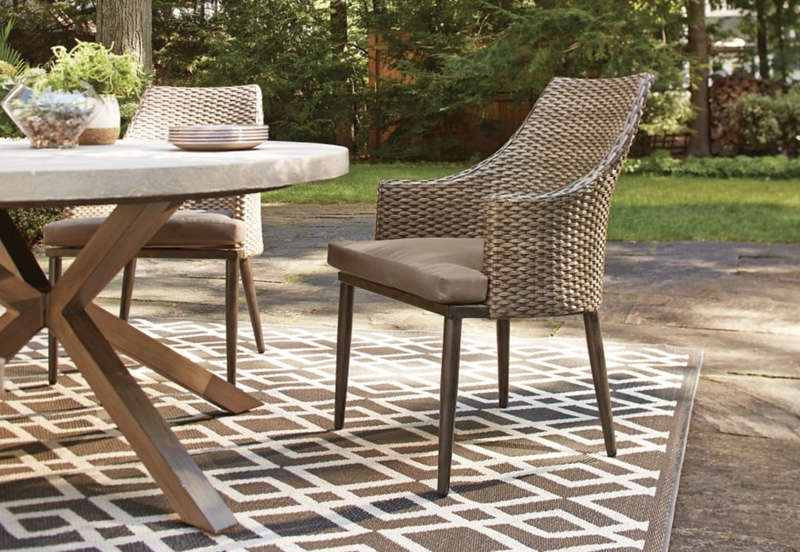 The CANVAS Dashley Cast Patio Dining Chairs are a classic look with curved armrests and removable cushioning that provides an extra level of comfort. With the days getting shorter, be sure to have some great outdoor lighting. When the sun goes down, you can keep the party going, and create an elegant atmosphere. 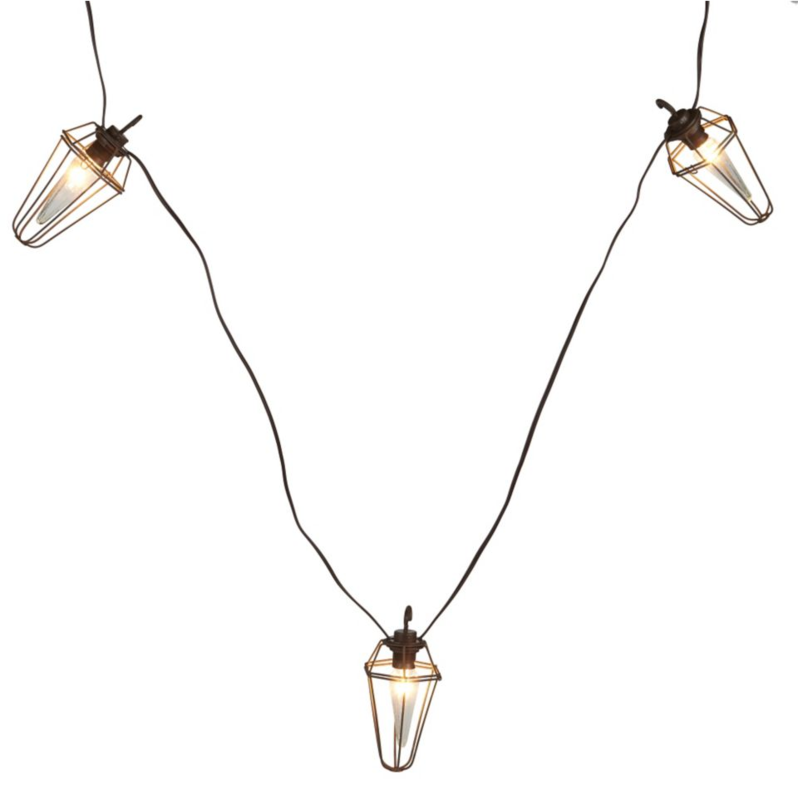 We love the CANVAS Brooklyn String lights, they have an industrial chic look that is on-trend, and are super durable. You can attach up to 7 strands for coverage throughout the yard. Adding lanterns throughout the yard are great for setting the mood as well. The CANVAS Chantilly Lantern is a favourite due to its weather resistance, and stylish design. It works easily with any décor and brightens the space beautifully. As the summer enters fall, we can expect cooler temperatures, and in Canada, we like to squeeze every last bit out of summer. Keep the party going into the night by ensuring your guests are comfy and warm with a fire table, such as the modern style CANVAS Granville Gas Fire Table. The stainless steel burner on this table protects it from Canadian weather with extra durability, and its 26,000 BTUs are sure to keep your guests toasty. 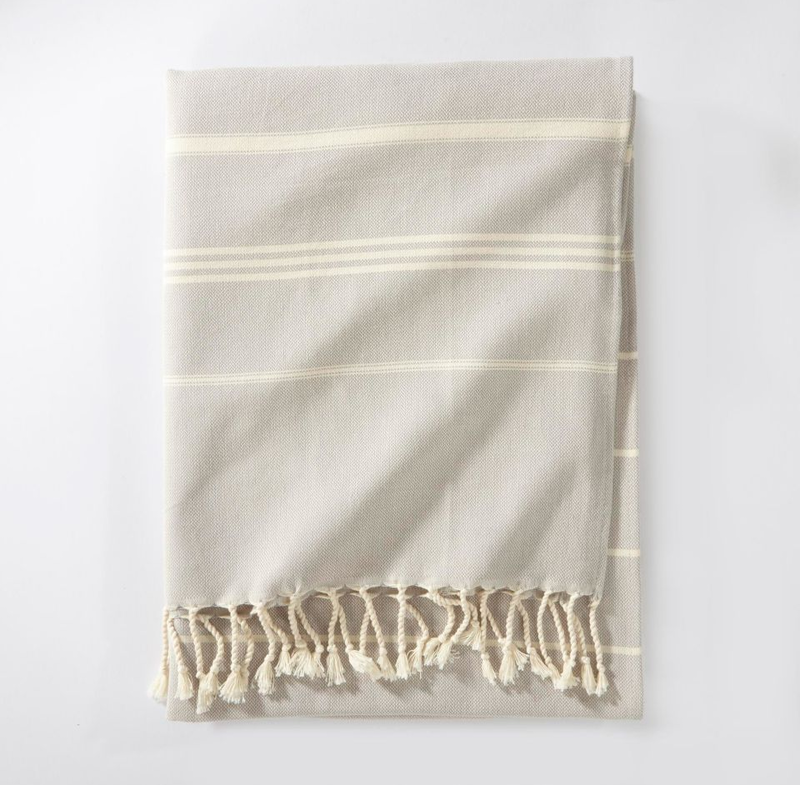 For an extra layer of warmth, keep some outdoor blankets on hand, such as the CANVAS Striped Outdoor Throw – these are great to cuddle up in and enjoy the evening. Have you ever attended that party that looked like it was taken right out of the magazine? I’m going to help you to achieve that with some finishing touches for your epic outdoor party. Whether serving your guests food or beverages, do it in style with the CANVAS Grappa Beverage Cart. This cart helps to complete the comfortable vibe you’ve created, with wheels to make it easy to move around the yard as needed. Complete with weather-resistant wicker baskets, keep everything that you need easily stored and at your fingertips. Easily chill your drinks in the CANVAS Oval Outdoor Party Tub, a unique flare to the standard drink cooler, and serve up your tasty treats from in the super durable Serving Bowl and Dip Bowl Set. No hospitality industry experience? No problem! Serve your guests like a pro with the CANVAS 3-piece Galvanized Tray Set, a great way to present your appetizers or desserts with flare. They can even be used for a decorative display such as candles, plants, and whatever else you want to use to elevate your party presentation to the next level. What better way to say farewell to summer then to top it off in style with a fabulous backyard party with the help of the Canadian Tire CANVAS line. Host an epic end of summer party that will provide memories for your guests long after the snow begins to fly. 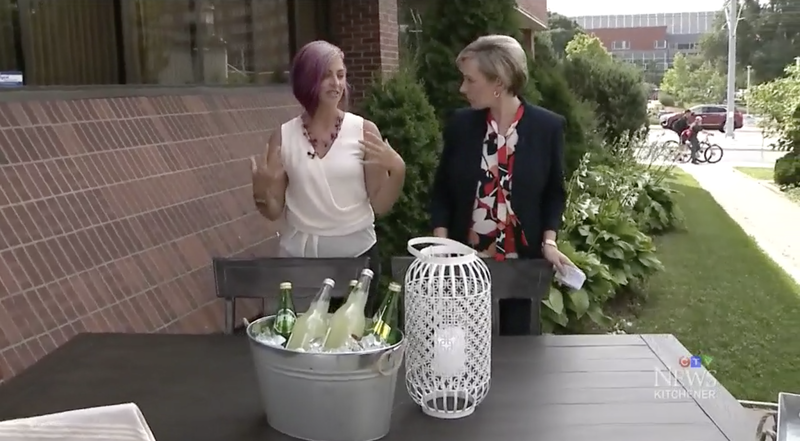 Click here to see Shauna Lynn talking about the CANVAS line and how to host an epic end-of-summer party on CTV Kitchener with Nancy Richards. 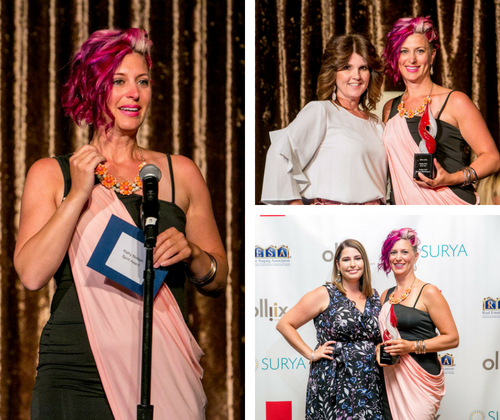 Honoured, shocked, and incredibly humbled – these are the words that best describe Shauna Lynn Simon’s reaction when she learned she was this year’s recipient of the RESA Kathy Nielsen Award at the 2018 Real Estate Staging Association’s Annual Convention and Awards Gala in Las Vegas. 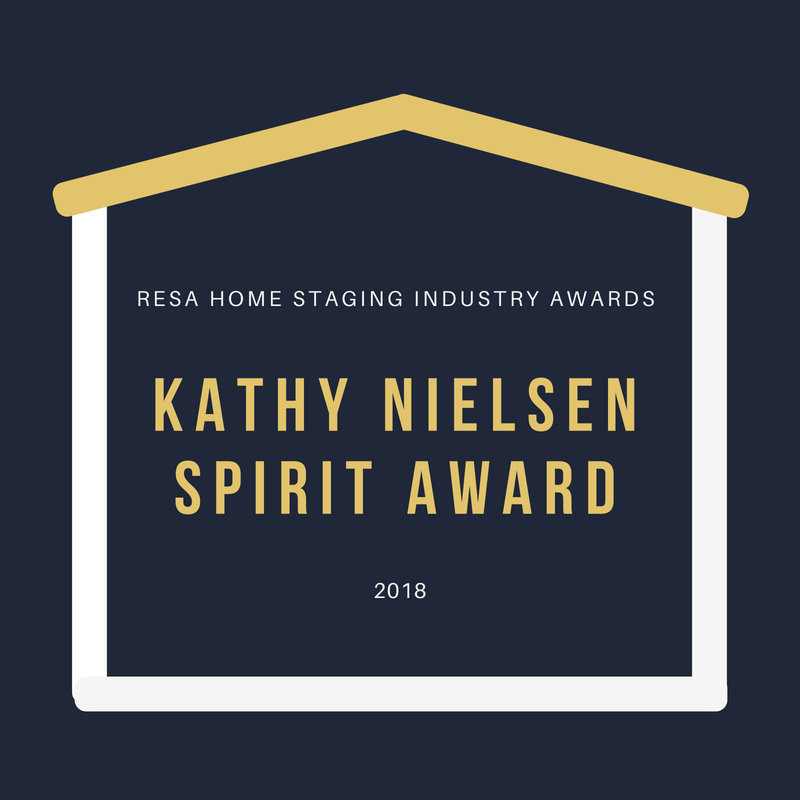 Kathy Nielsen dedicated much of her life to furthering the home staging industry through her work at the Real Estate Staging Association® (RESA). She was not only a leader within RESA; she was a mentor to so many home stagers. She was always willing to take the time to talk with someone, to give sage advice, and to brainstorm the next new idea for our industry. Kathy Nielsen passed away 3 years ago, and the award was created in her honour, as a tribute to her unwavering spirit, and as a way to recognize those that embody her true spirit and the values she upheld. Candidates are nominated by the RESA membership, based on their willingness to mentor others, their commitment to professionalism, and their role in leadership within the organization. Shauna Lynn has held the role of the Canadian Representative of the National Board of Directors for the Real Estate Staging Association® for almost two (2) years, and previously held positions within her local RESA chapter. In her role with the National Board of Directors, she has travelled throughout Ontario to meet with Canadian RESA chapters to learn of the needs of Canadian real estate staging professionals. She was instrumental in forming and heading the RESA Canadian Strategic Planning Committee, and has been tasked with furthering the education of homeowners and real estate professionals with the benefits of home staging and communicating what the industry stands for. She is the Ontario Instructor for RESA’s Professional Development Course, “Staging to Sell – What Every Agent Should Know”, and taught the first course in Canada at the Kitchener-Waterloo Association of Realtors®. She was voted as one of the Top 100 Most Influential People in Real Estate Staging for 2018, and continues to elevate the industry’s standards through her Real Estate Staging Professional Certification and Continuing Education training programs. How to Transform Your Backyard and be the Envy of Your Neighbours! Canadians love to entertain all year round, and nothing can keep Canadian’s inside during the summer months! With summer weather now in full swing, we are not only enjoying the gorgeous weather but are entertaining our friends and family in our outdoor living spaces. We continue to see the trend of bringing the indoors outside, but outdoor entertainers also crave convenience. This means that they want to have everything that they need at their fingertips – for serving food, storing drinks, and whatever else they need. This means that portability, durability, and weather resistance are a must. Not only that, we want these items to be attractive, and really make a statement. There is not better product for achieving all of this than the CANVAS Vik Outdoor Fire Table. This stunning table creates a warm and comforting atmosphere in the form of a very versatile, and functional, statement piece. 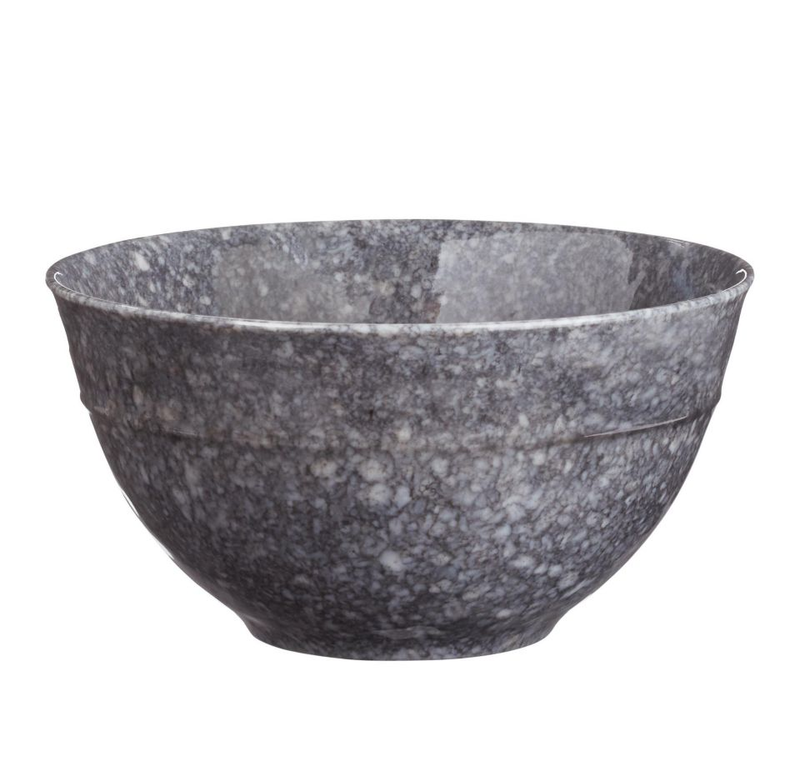 Featuring a unique design to help to keep beverages cool in the pull out ice bucket drawer, this piece provides additional table top space as well as the warmth and ambiance of a fire as night falls. It screams function, convenience and style! When it comes to outdoor furniture, the trend is much sleeker and more elegant looking than ever before with lighter coloured furniture really making its mark. The CANVAS Clarkson Teak Dining Table is classic and chic, and pairs perfectly with the comfortable rounded back and tapered legs of the CANVAS Seabrooke Wicker Patio Dining Chairs. 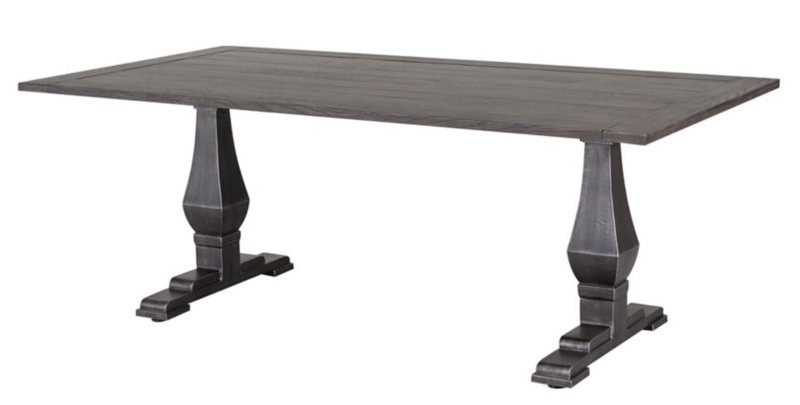 Not only does this table provide seating for up to 8 people, but it adds a unique and stylish touch to any outdoor dining space. We just can’t get enough of this year’s on-trend outdoor décor colour of blue, whether it’s with a pop of navy, Mediterranean, or Cobalt, accent any outdoor space through your accessories and linens. The striking patterns on these accent pillows, like the CANVAS Porto Toss Cushion with Tripel and CANVAS Indigo Toss Cushion, really elevate the space and bring in the comfort of indoor living with a durable fabric and with high quality fill that holds its shape. Anchor your outside space with a durable outdoor carpet that has loads of style. The CANVAS Melita Outdoor Rug boasts a contemporary design that adds texture, colour, and personality to your outdoor space. 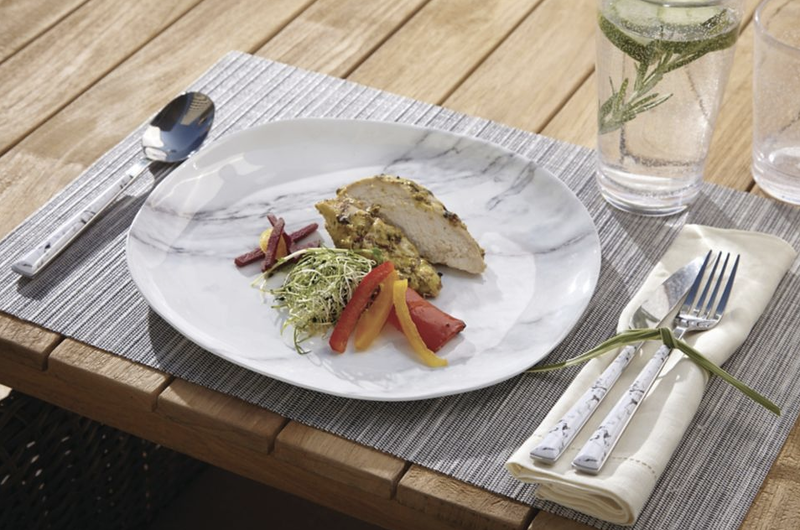 Setting your outdoor table with CANVAS Faux Marble plates and bowls add a modern elegance and, while marble is nothing new, the smooth textures and swirly natural designs in a durable outdoor place setting, looks as elegant as our best indoor place setting. The CANVAS Round Marble & Acacia Wood Board is ideal for serving everything from appetizers to desserts, pairs beautifully with this place setting. As the sun sets, lighting extends our time outside and adds an elegant ambiance. 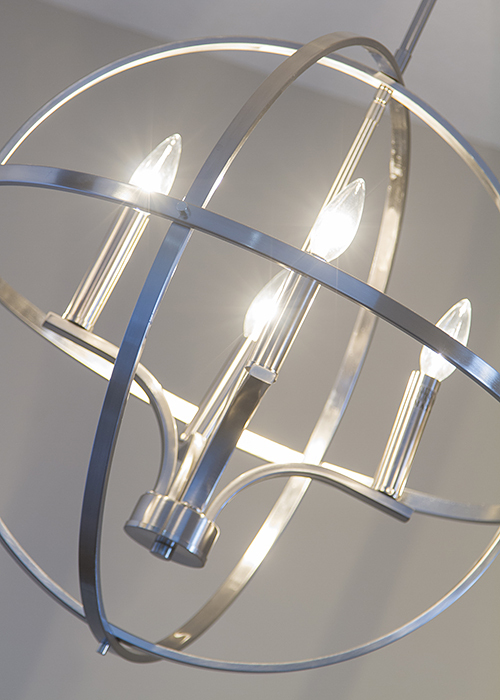 This year, lanterns are the statement pieces that not only provide light but add a level of sophistication. Check out the detail of the CANVAS Souk Patio Lantern and whimsy of the CANVAS Black Rope Solar Powered Lantern, which as the name indicates, has the added convenience of being solar powered. 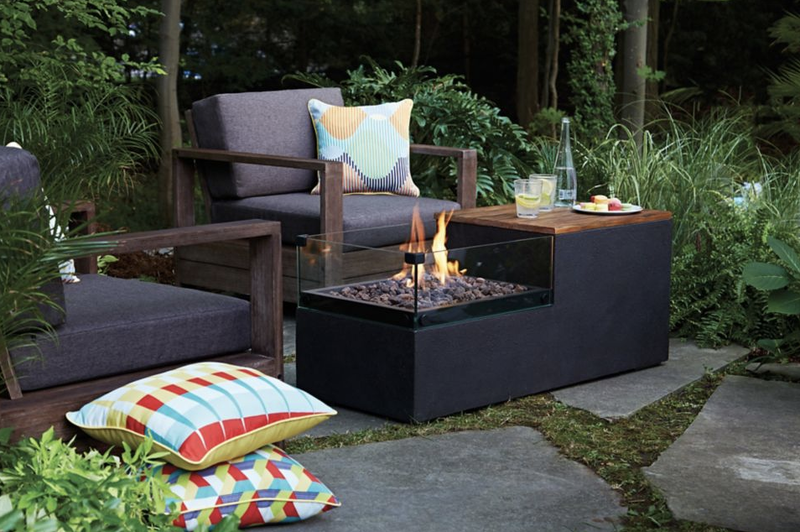 Most importantly, have fun with your outdoor spaces. This is a great way to bring in some edgy and fun décor, and let your personality shine through. Click here to see Shauna Lynn discuss the CANVA line on CTV Kitchener. The key to top-sales is a solid marketing plan – this means identifying your target market, understanding their needs, creating an impactful marketing message, and presenting a quality product. You need to make the sale all about the person that you are trying to sell to. So, what does this mean for selling your home? Home staging is an effective marketing technique that integrates decorating with marketing and creates an experience for home buyers. It’s about more than just furnishing a home – it’s about selling a lifestyle! In order to present a “product” that your potential buyers will want, invest in a home staging consultation, and if needed, hire a home stager for additional services, including furniture, artwork, and accessory rental, to complete the look. 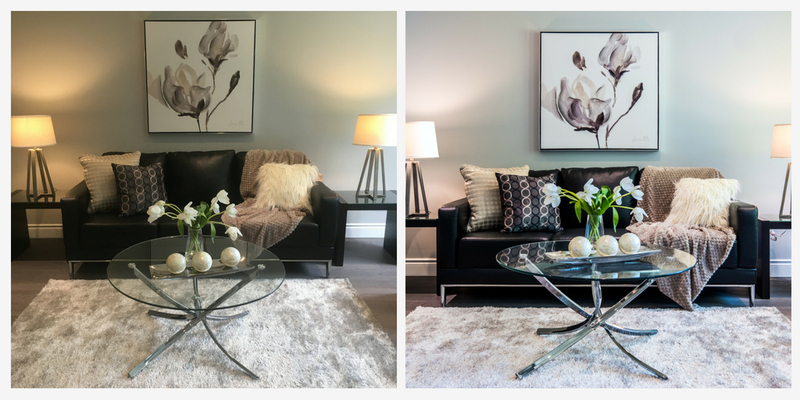 By working with a home stager, you can identify and address all buyer perceptions, positive or negative, and ensure the most positive experience possible. 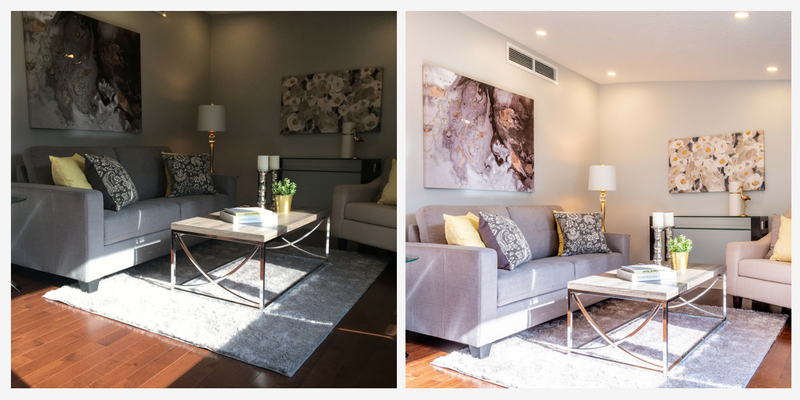 Home staging alone is not what sells a house, though it is certainly a contributing factor! Regardless of how great the home shows to buyers, listing the home for the correct price for the market, the neighbourhood, and the quality of home is key to a successful sale. This will allow you to draw in buyers from the right target market, and get the best value out of your home. A qualified real estate agent is your best resource for pricing your home appropriately – avoid making a common mistake that many homeowners make when choosing an agent. Do not choose the agent solely based on providing you with the highest list price, or the lowest commission – a qualified agent will price your house based on what they feel will net the largest return, without discouraging buyers. As well, you want your agent to work hard for you. This means putting in the time and marketing efforts necessary to ensure a successful and profitable sale, and top agents will charge a fair commission based on industry standards. How well do they understand the current market and trends? Ask around – if you know of someone that has recently sold a home, ask them about their experience and ask for recommendations. What type of negotiation skills do they have? What value-added services do they offer to ensure that you will receive top-dollar for your home? This may include a pre-listing home inspection, professional photography, home staging, and more. Review their marketing plan – what will they do to provide you and your home with the maximum exposure that it needs to ensure that you attract all potential buyers? Once your home is staged and ready for market, and you have selected the real estate agent that will work to get your home sold, it’s time for you to share your home with the world. It’s time to make an impression, and that impression is first made through the photos that you show of your home online. This is where the skills and expertise of a professional photographer come in. With ever-changing technology, no matter how great of a photo your cell phone might take, it cannot compare to the tools, and the talent, that a professional photographer will bring to the table. To prove our point, we have taken some great photos with our iPhone 6S, and compared to those of our photographer, Ross Bennett at 3SixtyVideo. So when it’s time to sell your home, remember to put all of your best marketing tools to work for you, and you will see the results in a quick sale, and maximum profit. Is it time to upgrade your bedroom? 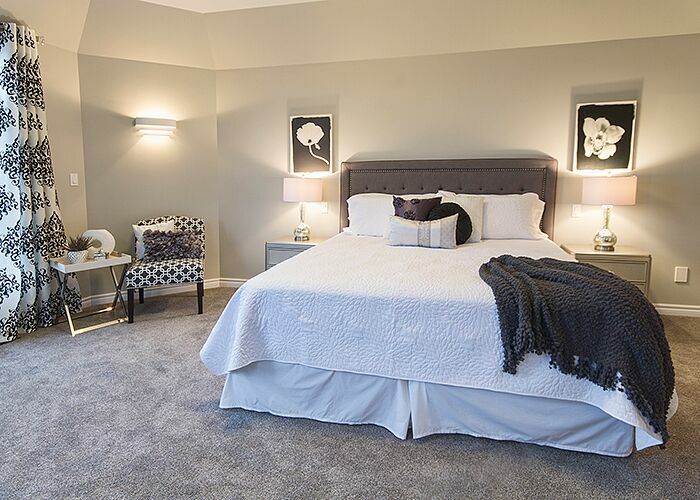 In our experience, the last room in your home to receive attention is usually the master bedroom, yet this is the one room that should be your relaxing oasis and escape from the daily stresses of life. Good news! We’ve taken the first step for you by creating a vision board for an elegant and inviting bedroom. In this look, the balance of colour and whimsy, and the serenity the calming blue tones throughout give this bedroom elegance combined with comfort. The Valerie Oval Puff ottoman is a great place to hang out with a book and relax. It would look great centered in the room, or in a walk-in closet. It can also be used in place of the Salinger Bedroom Benchif space in the room is limited. The blended patterns of the Montrose Geometric Room Darkening Grommet Curtain Panels, Shonta Comforter Set, and the 'Down the River' abstract canvas art provides texture and interest, and the patterned Penelope Pillow Cover and solid yellow accent pillows along with the Nader Tweed Knitted Yellow Throw provide a pop of cheerful colour to brighten the room. The glitz and glam to the room is brought in by the Plutarch 35” Table Lamp, Hester 2-Drawer Nightstand, and the Gittan Upholstered Panel Bed, and the Oakdene Ivory Area Rug provides a soft comfort to the room. Not quite the right look for you? Get inspired with more great styles curated by our BTSH Design Team here. Want a chance to win a $500 shopping spree at Wayfair.ca? Find out how here. This is where home staging comes in. 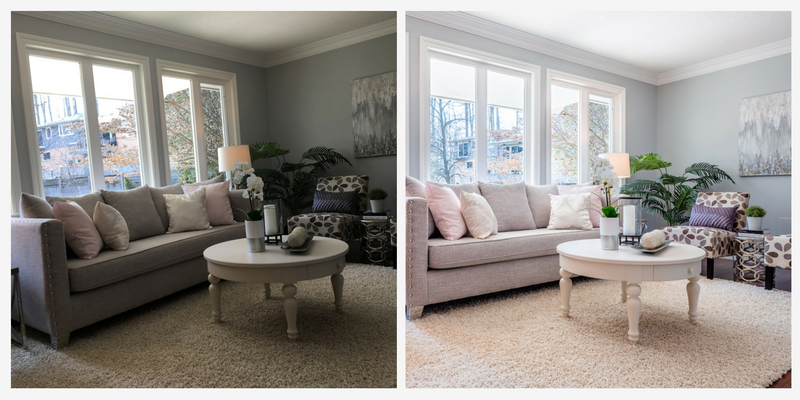 Homes that have been professionally staged spend 90% less time on the market (source: Real Estate Staging Association). Buyers view professionally staged listings as “well-maintained”, and are willing to pay more for a move-in ready home. In fact, a staged home will sell, on average, 17% higher than an unstaged home, according to US Housing and Urban Development. Despite these great statistics, we understand that it doesn’t make it any easier to open your wallet and spend money on a home that you are selling. Let’s face it – it’s not as though you are decorating a home that you are going to live in, so the joy in home staging, as a seller, comes upon the sale of the home, and the extra money in your pocket as a result. But what if it doesn’t sell? What guarantees do you have? And how much is the initial investment going to be? Review all of your lighting in your kitchen and identify when it was last updated? This includes your eating area, above your island (if applicable), and above the sink. As a general rule, if the light fixtures have not been installed within the past 10 years, they will likely need to be replaced. If the light fixtures are the original ones that the builder installed, they should likely be replaced. 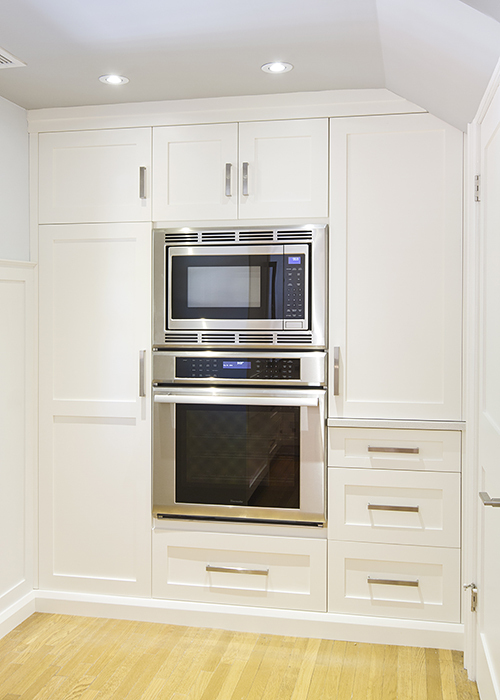 While you’re updating your lighting, why not consider adding under-cabinet lights? 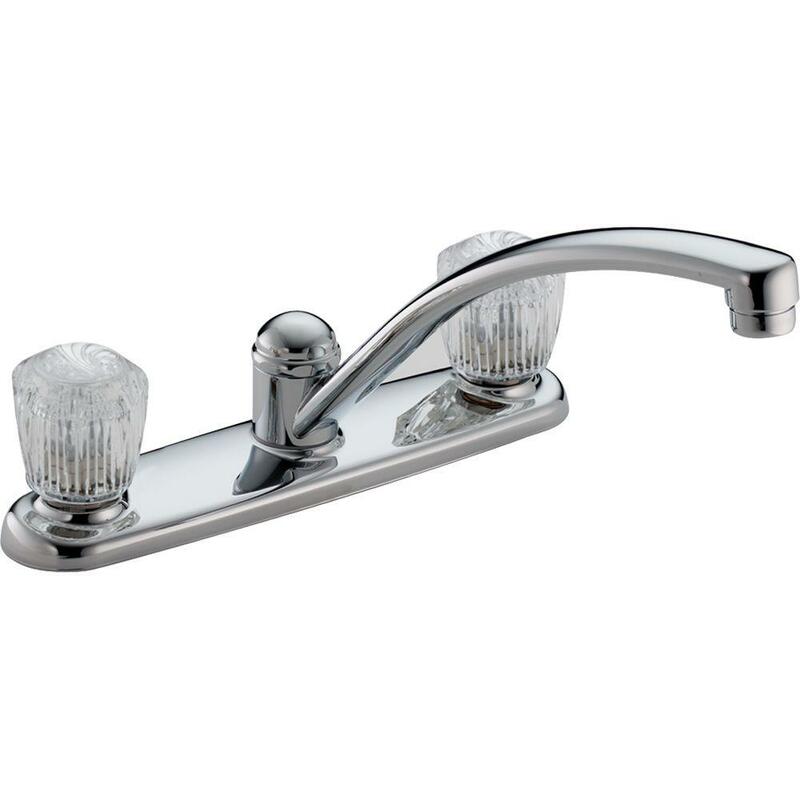 These add a great task lighting and are a great selling feature! Out with the old, and in with the new! 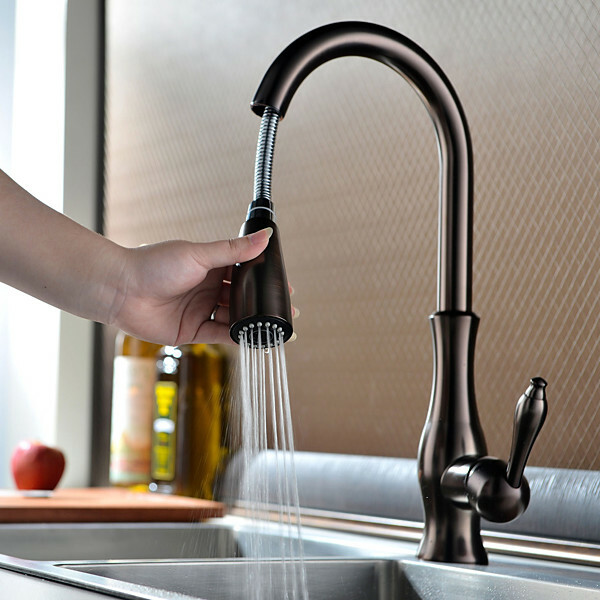 If your faucet is showing age and/or wear, upgrading it can be a great low-cost update. 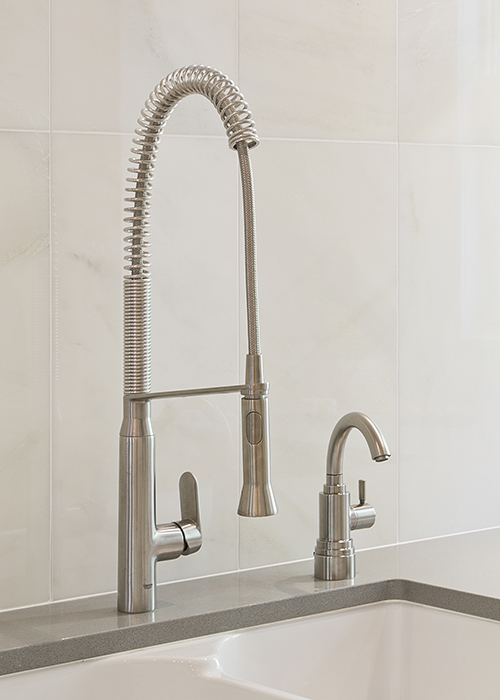 Find something with a spray head included, and select a faucet that compliments the overall style of the kitchen (i.e. that antique style faucet may look nice, but if your house is a newer house with clean lines and very little traditional style and feel, it may not be the best choice). Brushed nickel is still the preferred choice for the kitchen, but if your light fixtures and/or door hardware has been upgraded to an oil-rubbed bronze, you may want to consider adding a faucet to match. Stainless steel sinks are becoming a thing of the past, and are being traded up in favour of granite sinks and other alternatives. If you are replacing your countertops, it would be a great time to consider replacing your sink as well (note that if you are not replacing your counters, you will need to find a sink that is comparable in size to your current sink, and may require some minor counter adjustments to be made). 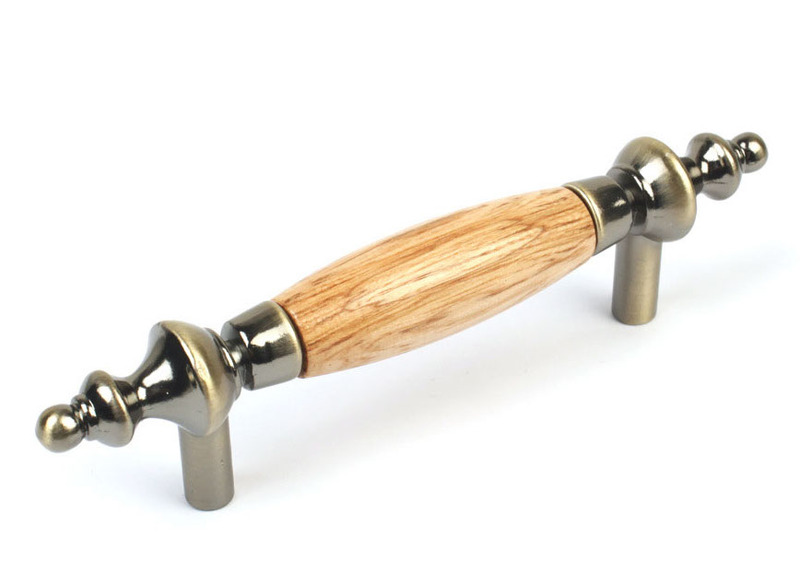 Plastic, wooden, brass, or other outdated cabinet hardware should be upgraded in favour of a newer style and finish. Again, brushed nickel is the preferred choice, however oil-rubbed bronze is a great consideration if it compliments other aspects of the home. This could be one of the least expensive updates in your kitchen, with the greatest impact. Remember that when selling a home, our goal is to provide a move-in ready house. If the kitchen cabinets are in need of a facelift but a full renovation is not in the budget, consider painting or refinishing them instead. A backsplash is the finishing touch that every kitchen needs. It’s like that last accessory that you put on to complete your outfit before heading for an evening out! When you’re dressing your kitchen, the backsplash will complete the look. 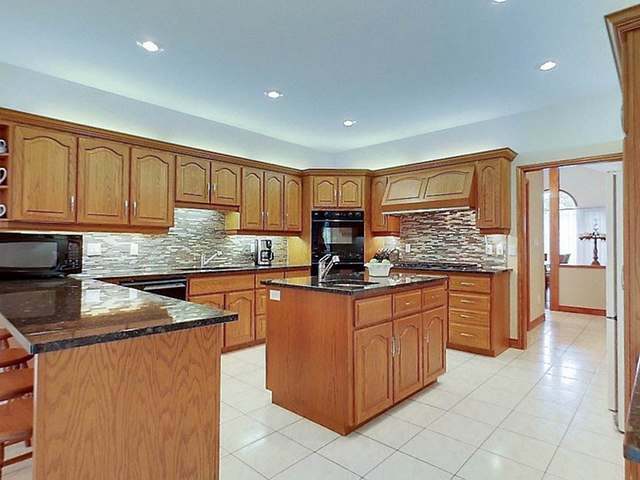 It always amazes me how many homes do not have a backsplash. 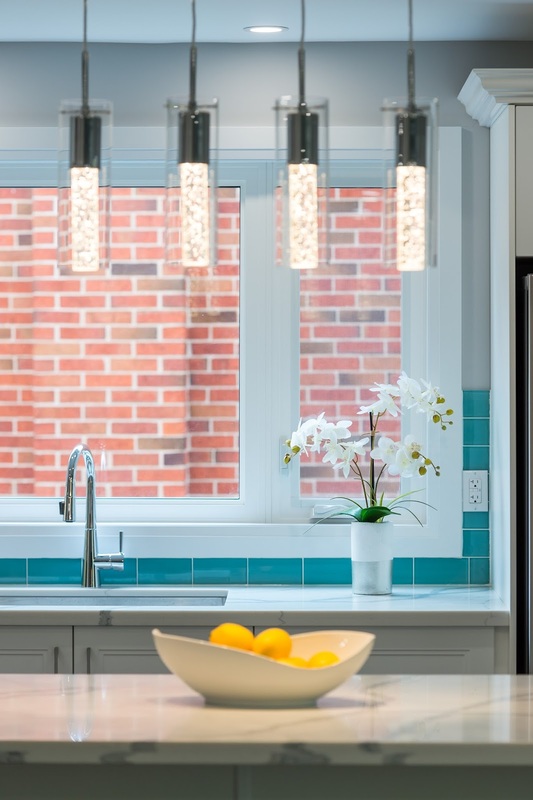 If you’re installing a new backsplash, and have not yet installed under cabinet lighting, I recommend installing the lighting first, as it will be much more difficult to properly run the electrical for it after the backsplash is installed. 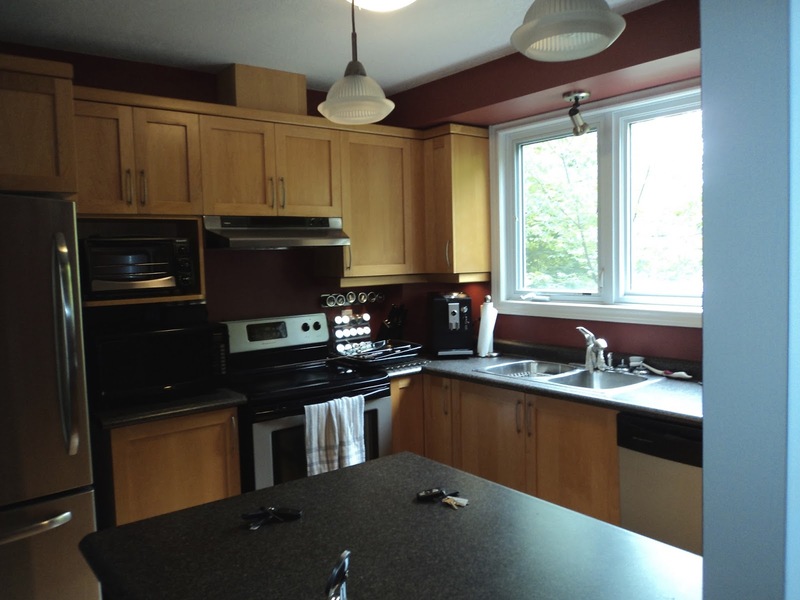 This is a great example of a kitchen with a good layout, and good quality cabinets, but the counter makes it seem dated and uninviting. The home had been previously listed for approximately six months prior to calling Beyond The Stage Homes. 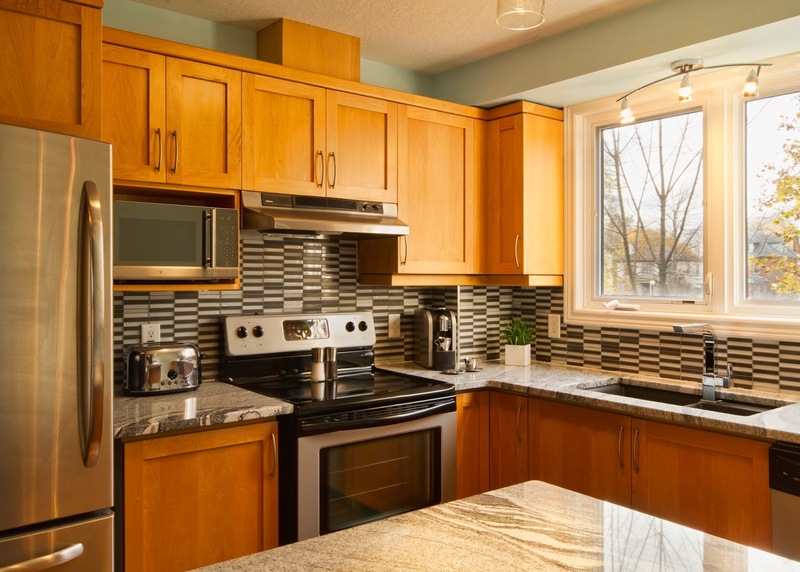 The homeowners were concerned that we would suggest a full renovation, but instead we recommended adding a backsplash, new countertop, and updated cabinet hardware. 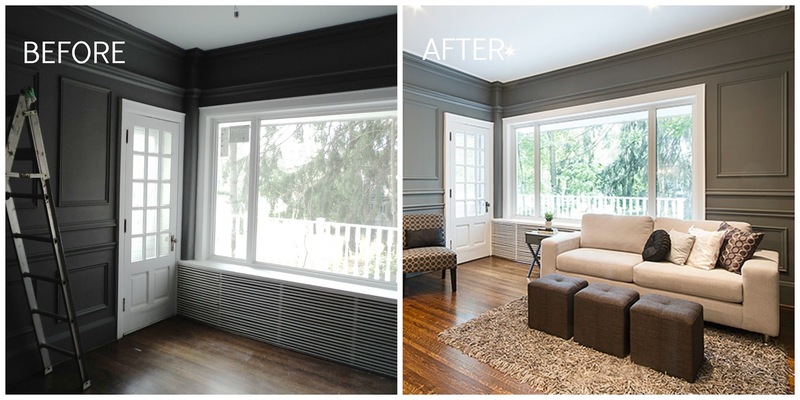 The transformation was just what the home needed. 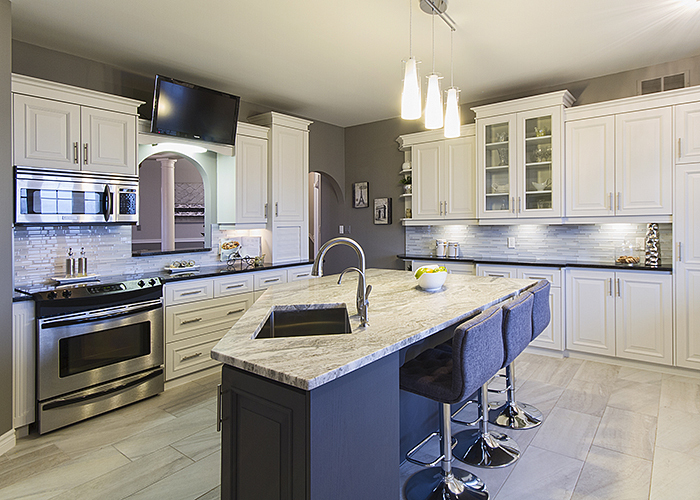 Most buyers expect to purchase all appliances with the home. While they may not need to be stainless, if they’re dated, or broken in any way, they should be replaced. Check out your local scratch and dent stores for good quality appliances at a discounted price.